Q:Do you intend to add player fleets to the game? 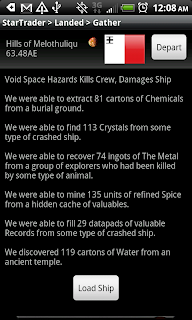 Fleets do not fit into my long term goals for Star Traders RPG. As a role playing game, it will continue to focus around a single, solitary man or woman (Firefly style) commanding a star ship. I am very excited about another game concept I'm developing that takes the Star Traders universe and drops the RPG concept in favor of a 4X (http://en.wikipedia.org/wiki/4X) design. In that game, the player would not be a single Captain but instead control an entire Faction as the "intelligence" behind a galactic empire during a period of fleet war and expansion.